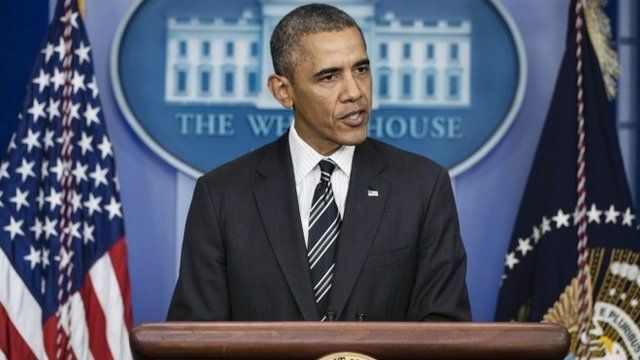 Obama: Republicans 'grandstanding' Jump to media player President Barack Obama criticises Republicans for "grandstanding" on a possible government shutdown, saying it was already having a negative impact on the US economy. 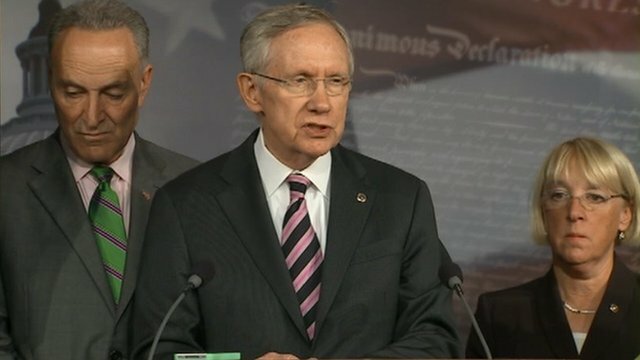 Reid: 'This is it, time is gone' Jump to media player Mr Reid tells reporters "time is gone" for Republican efforts to stall a spending bill as the government hurdles toward a shutdown on 1 October. 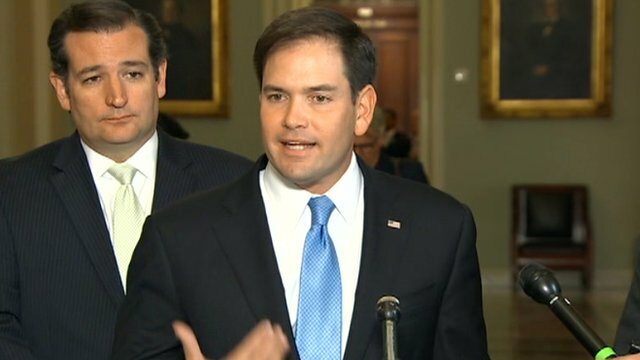 'All we'll shut down is Obamacare' Jump to media player Three Republican senators tell reporters they will not give up in their attempt to block President Obama's health law, sometimes known as "Obamacare". At the White House on Friday, President Barack Obama criticised House Republicans for threatening to shut down the US government if Democrats refused to strip his 2010 healthcare law of funding. He said the "grandstanding has real effects on real people". And he repeated his refusal to negotiate over the debt ceiling, the limit to which the US is authorised to borrow to pay its obligations. "Voting for the treasury to pay America's bills is not a concession to me." Mr Obama said. "That's not doing me a favour, that's simply carrying out the solemn responsibilities of holding office."